Glasgow Rangers’ current trials and tribulations highlight the side of professional soccer that tends not to attract the headlines – at least not for long. As we marvel at the success of serial winners like Cristiano Ronaldo and Lionel Messi and their respective star-studded teams, it is easy to forget all those who have one way or another fallen by the wayside. 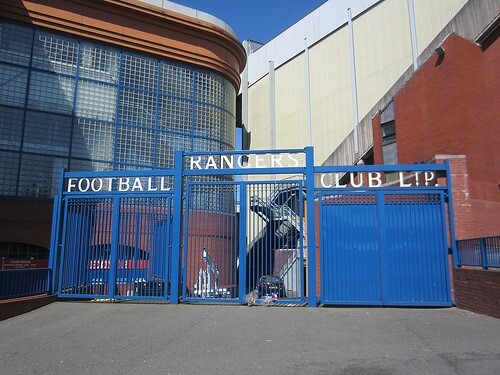 In 2011 Glasgow Rangers, one of the two stellar clubs of Scottish soccer, contested the Champions League with the likes of Manchester United. Just three years later they found themselves in Scottish soccer’s bottom tier. Surely no-one in the long history of Scottish soccer betting has crashed the odds quite so spectacularly. Whatever Glasgow Rangers are doing, Portsmouth have already done. Somehow they went from Premier League perennials and FA Cup winners in 2007 to the bottom tier in the space of just six seasons. It’s easy to forget that not long ago City were everybody’s favourite joke team – especially when they found themselves contesting the old Second Division of English soccer. But for a remarkable play-off final City might still be there today. But which Wimbledon? When the owners of Wimbledon FC decided to move their club lock stock and FA Cup final memories to Milton Keynes it marked the end of a remarkable era. The Dons were dead. And then all of a sudden they weren’t as AFC Wimbledon sprung up in their place. As and when they overtake the MK Dons this story will get really interesting. They’ve attracted the wrong sort of headlines recently but League One Oldham Athletic were once a force to be reckoned with. Never mind recruiting cut price talent fresh from her majesty’s pleasure, they were recognised as the team of the season in 1990 as Joe Royle’s plastic-pitched team made the League Cup final and an FA Cup semi-final in the space of a few weeks. 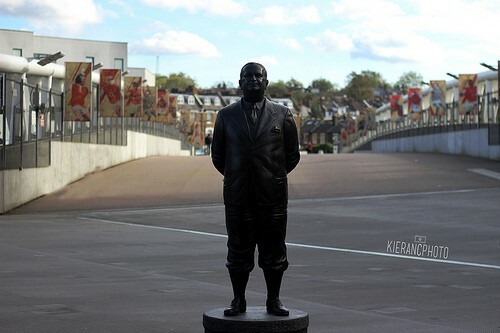 When Arsenal fans get misty eyed about Herbert Chapman, Huddersfield fans start to spit. Chapman took the Terriers to consecutive titles and an FA Cup in the 1920s before the Gunners tempted him south. Huddersfield has never been the same again. They call themselves the club that wouldn’t die. When staying in business is your finest achievement, you know the story has more downs than ups. The days of David Pleat skipping across the Maine Road Turf are long gone. Raddy Antic’s relegation-saving strike merely delayed the inevitable. Luton are now mired in Division Two. Two European Cups and a host of internationals made Forest one of the great soccer heavyweights of the early 1980s. But a combination of the Heysel ban, and the sad decline of the once great Brian Clough sent them into a tailspin from which they have never recovered. Forest remain a club strangely divorced from their glorious past. Last but not least, and certainly not without some grumbling, Leeds United, like Forest, are a side in thrall to a glorious past. For Clough read Revie, for European Cups read serial English titles and a fearsome reputation. The recent judgement that found their current owner to be legally unfit to own a soccer club is just another unhappy sign of the way things have gone sour in Yorkshire.